It’s that time of year once again when the cooler weather starts to set in and the truly cold months are looming ever closer on the horizon. Northern snowbirds everywhere are already preparing for the journey south for the annual escape to the sub-tropical climates in states like Florida, Arizona, Texas and California. 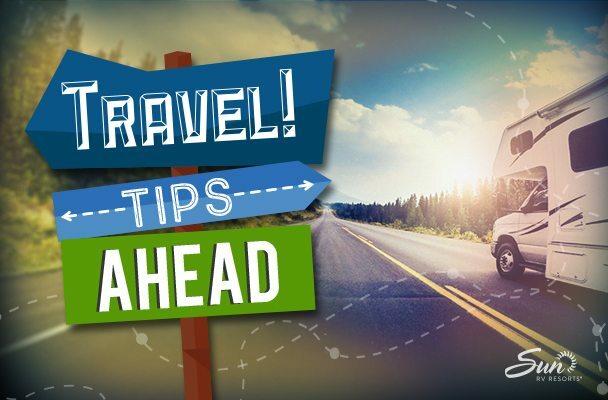 As you’re preparing for your journey to gorgeous coastal regions, inland escapes, or breathtaking desert areas, there are some important tips to keep in mind. Have a local auto shop inspect your tow vehicle before departing; you never know if you may have missed something and it’s always a good precaution to take. Have a local RV service center inspect tires, brakes, axle bearings, etc. Check the air conditioning to ensure it is working properly. A broken air conditioner in a hotter climate makes for an uncomfortable RV experience. Add tank cleaner to your rigs waste tanks. Turn off your heating system. Having your mail forwarded to your winter destinations or having a family member or friend collect it for you. Arranging to have someone check your home regularly to prevent break-ins and vandalism. You will want to notify your local police department to make them aware that an unknown person will be in the neighborhood checking on your home from time to time. Install variable light timers in your home to increase the appearance that your home is regularly occupied. Creating a menu with non-perishable food items for your journey. You will also want to purge old items that you haven’t used in over a year with the exception of safety items to help manage the Gross Vehicle Weight Ratio (GVWR) of your RV. You can find this information in the owner’s manual. Overloading your rig can affect the handling and performance of your vehicle, which can lead to potentially unsafe situations depending on road and weather conditions. Visa fees and length of stay deadlines. Extended health insurance that provides coverage in the United States. International cell phone and internet service. Budgeting for extensive fuel costs for the journey there and back again.